Last year one of our students entered a cooking contest with her parents sponsored by Uncle Ben's U.S.A., and she won! We were awarded with money for some new cafeteria furniture, and today her family came and ate with her. 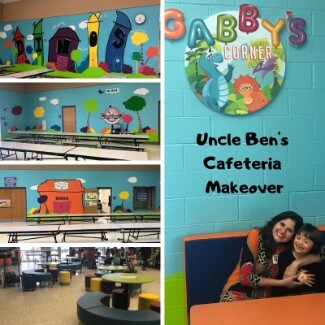 Thank you Gabby and Uncle Ben's for this amazing gift.